Children and Screens: Institute of Digital Media and Child Development is a private, nonprofit organization founded by Dr. Pamela Hurst-Della Pietra, in pursuit of the impact of digital media on children and adolescents. The Institute provides a forum for researchers, clinicians, and other experts from a wide variety of disciplines to meet, collaborate, and share research, to advance funding in the emerging field of digital media and children, and to provide parents and educators with the resources and answers to questions they have to raise happy and healthy children in the digital age. Founded in 1890, Cold Spring Harbor Laboratory has shaped contemporary biomedical research and education with programs in cancer, neuroscience, plant biology and quantitative biology. Home to eight Nobel Prize winners, the private, not-for-profit Laboratory employs 1,100 people including 600 scientists, students and technicians. The Meetings & Courses Program hosts more than 12,000 scientists from around the world each year on its campuses in Long Island and in Suzhou, China. The Laboratory’s education arm also includes an academic publishing house, a graduate school and programs for middle and high school students and teachers. Dr. Pam Hurst-Della Pietra is the President of Children and Screens: Institute of Digital Media and Child Development, a nonprofit organization she founded in 2013 to promote objective, high-quality scientific research (by making grants, identifying and nurturing talent, and fostering bold interdisciplinary collaborations) and to empower parents, teachers, clinicians, and policymakers with actionable information – about what we know and what we don’t – with which they can maximize children’s benefits from digital media and minimize their risks. Using her medical degree, non-profit experience, philanthropic resources and a long-standing interest in media and children, Dr. Hurst-Della Pietra has become one of the field’s leading conveners, curators, and grant-makers. Most recently, Dr. Hurst-Della Pietra joined with the National Institute of Child Health and Development to co-organize and co-sponsor a scientific workshop on Media Exposure and Early Child Development. In 2017, Dr. Della Pietra organized, edited, and sponsored the publication, “Children, Adolescents and Screens: What We Know and What We Need to Learn”, a stand-alone supplement to Pediatrics (the Journal of the American Academy of Pediatrics) that presented 22 articles from over 100 named authors, and provided parents, practitioners, researchers and policymakers with a uniquely comprehensive view of this field. “Children, Adolescents and Screens” was a direct result of the first Digital Media and Developing Minds conference, which Dr. Hurst-Della Pietra and Children and Screens developed in 2015. Co-sponsored with the Sackler Colloquia program of the National Academy of Sciences, that groundbreaking gathering brought together nearly 200 leading researchers, clinicians, and other experts in the fields of psychiatry, psychology, neuroscience, sociology, anthropology, communications, education, public health, and public policy. Dr. Hurst-Della Pietra expects that the second Digital Media and Developing Minds national Congress will pick up from where the last conference left off, expanding current knowledge, honing the national research agenda, and advancing the science in this evolving field. A Long Island-based philanthropist along with her husband Stephen, a few recent projects include endowing a chair in biomedical imaging at Stony Brook Medicine, starting the Della Pietra Lecture Series at the Simons Center for Geometry and Physics, which brings the best and brightest minds of our time in science and math to high school and college students on Long Island and developing a weekend enrichment program for gifted high school students in math and science. Pamela also developed the Mount Career Laboratory, a series of hands-on career workshops, which helped that school earn New York State’s Blue Ribbon of Excellence. She served on the President’s task force of the Stony Brook Children’s Hospital and has also worked as the founding director of several highly successful non-profit organizations and programs. Early in her career, Dr. Hurst-Della Pietra worked in television production for children’s educational programs such as Sesame Street. Dr. Stewart’s background is in genetics, biochemistry, organic chemistry, and biotechnology. Before joining Cold Spring Harbor Laboratory in 1993, he worked for eight years at Cambridge University and then at a small private company in the United Kingdom on developing affinity methods for purifying proteins on a small and large scale. He also used rational drug-design techniques to develop synthetic ligands that interact specifically with proteins of commercial interest. Currently, Dr. Stewart is the executive director of Meetings and Courses at Cold Spring Harbor Laboratory, where he orchestrates at least 25 scientific meetings and 26 postgraduate-level residential laboratory/lecture courses each year. Collectively, the programs attract to the Laboratory more than 8000 international investigators who specialize in a wide range of biological and biomedical sciences. The Laboratory’s program of meetings and courses represents a flexible amalgam of topics that include molecular and cell biology, neuroscience, the regulation of gene expression, and genomics. Typically, each topic repeats every or every other year and is subject to continuous review in terms of its scientific relevance and popularity. 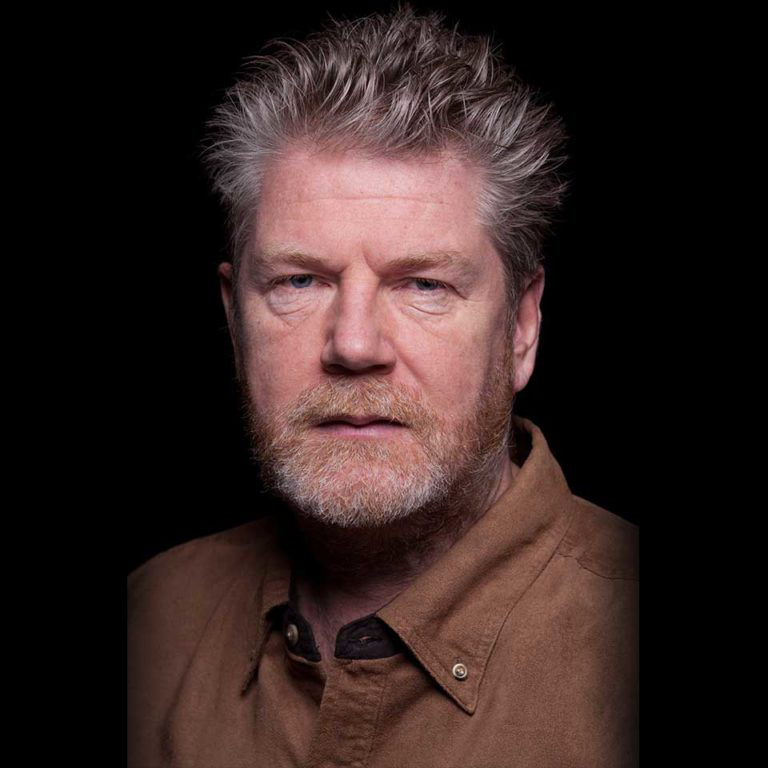 In recent years, his interest has focused on the dissemination and exchange of scientific ideas and techniques and on the increasing impact of electronic communications in these areas. He also continues to develop an international program in Europe and Asia that builds on the strengths of the existing educational program. 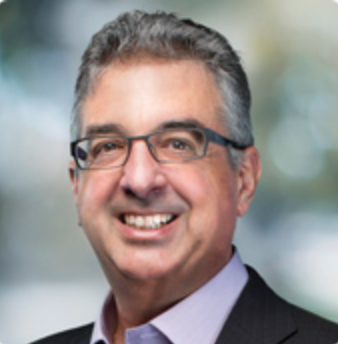 A pediatrician, researcher, and parent, Dimitri Christakis, is the George Adkins Professor of Pediatrics at the University of Washington, Director of the Center for Child Health, Behavior and Development at Seattle Children’s Research Institute, and an attending pediatrician at Seattle Children’s Hospital. Professor Christakis graduated from Yale University and the University of Pennsylvania School of Medicine. He is the author of over 200 original research articles, a textbook of pediatrics and The Elephant in the Living Room: Make Television work for your kids. (September 2006; Rodale). In 2010 he was awarded the Academic Pediatric Association Research Award for outstanding contributions to pediatric research over his career. His passion is developing actionable strategies to optimize the cognitive, emotional, and social development of preschool children. The pursuit of that passion has taken him from the exam room, to the community and most recently to cages of newborn mice. Christakis’ laboratory focuses on the effects of early environmental influences on child health and development and his work has been featured on all major international news outlets as well as all major national and international newspapers. 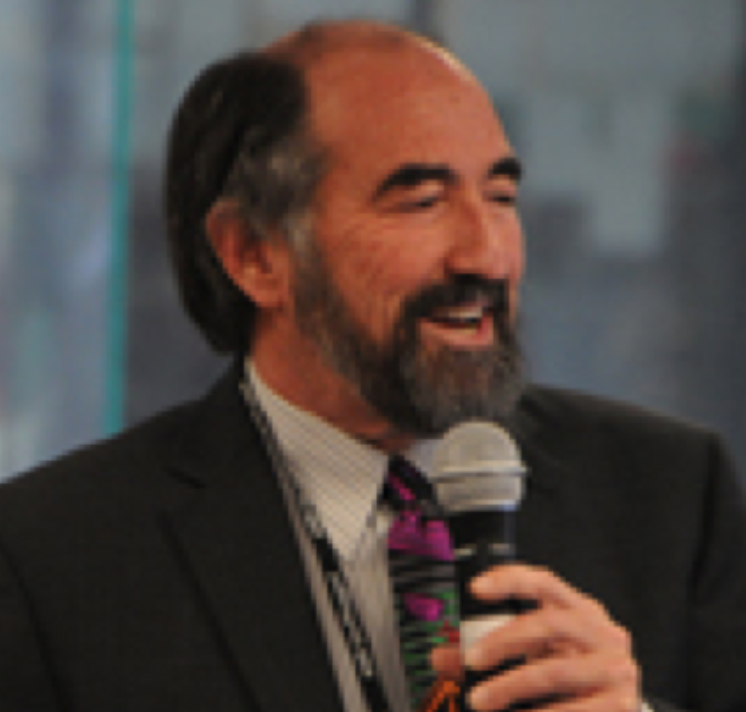 He speaks frequently to international audiences of pediatricians, parents, educators and policy makers about the impact of early learning on brain development. He has served on the advisory board of Children and Screens since 2015. 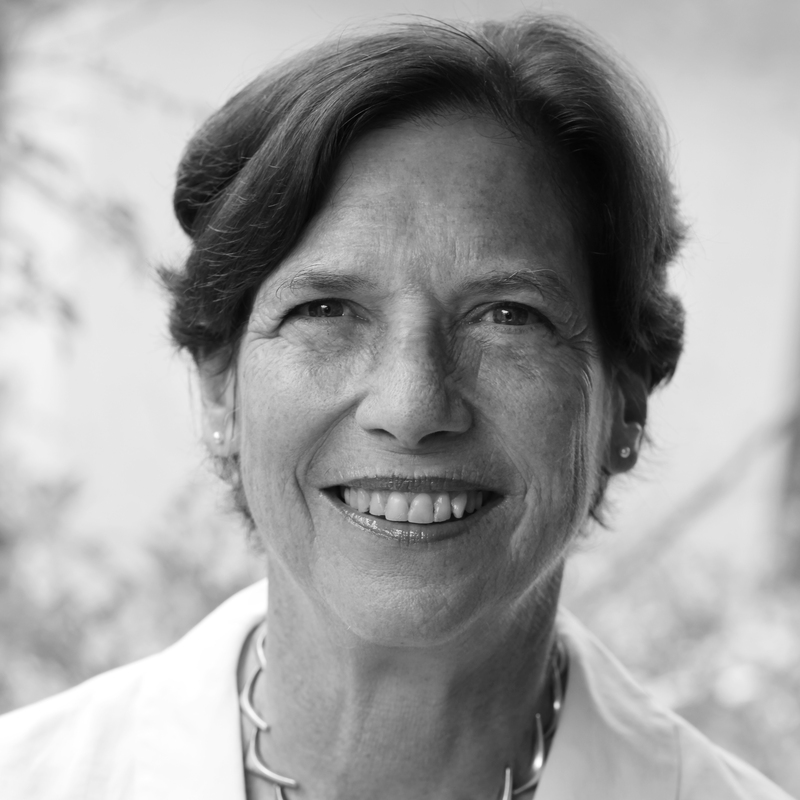 Elizabeth Kandel Englander is a professor of Psychology and the founder and Director of the Massachusetts Aggression Reduction Center at Bridgewater State University, a Center which delivers programs, resources, and research for the state of Massachusetts and nationwide. She is a nationally recognized researcher and expert in the area of bullying and cyberbullying, childhood causes of aggression and abuse, and children’s use of technology. She was named Most Valuable Educator of 2013 by the Boston Red Sox because of her work in technological aggression and how it interacts with peer abusiveness in general. 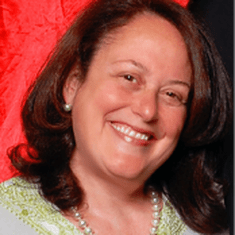 Dr. Englander was a Nominee for the 2015 National Crime Victims’ Service Award and is the Chair of the Cyberbullying Workgroup for the Institute of Digital Media and Child Development, collaborating with the National Academy of Sciences. Each year Dr. Englander trains and supervises graduate and undergraduate students and collaborates with multiple agencies around the State of Massachusetts and across the nation. Patricia Greenfield received her Ph. D. from Harvard University and is currently Distinguished Professor of Psychology at UCLA, where she is a member of the Developmental Psychology group. Her central theoretical and research interest is in the relationship between culture and human development. She is a member of the American Academy of Arts and Sciences, and a past recipient of the American Association for the Advancement of Science Award for Behavioral Science Research, the APA Urie Bronfenbrenner Award for Lifetime Contribution to Developmental Psychology in the Service of Science and Society, and the SRCD award for Distinguished Contributions to Cultural and Contextual Factors in Child Development. She has received teaching awards from UCLA and the American Psychological Association. Her books include Mind and Media: The Effects of Television, Video Games, and Computers (Harvard, 1984), which has been translated into nine languages and was recently reissued as a Classic Edition by Psychology Press. In the 90s she coedited (with R.R. Cocking) Interacting with Video (Elsevier, 1996) and Cross-Cultural Roots of Minority Child Development (Erlbaum, 1994, Psychology Press, 2014). With a focus on social change and human development, she has studied three generations of child development and socialization in a Maya community in Chiapas, Mexico between 1969 and 2012. She was founding Director of the FPR-UCLA Center for Culture, Brain, and Development and directs the Children’s Digital Media Center @ Los Angeles, which researches the developmental implications of Facebook, YouTube,Instagram, and other technology issues. Recent and ongoing projects include studying social change and human development in Israel, China, and Mexico. She is also engaged in the Bridging Cultures Project, a project in cross-cultural education and value mismatch, focusing on Latino immigrant families. 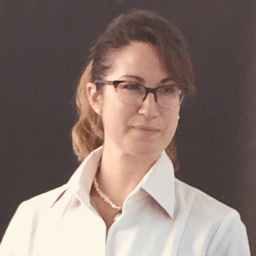 Carrie James is a Principal Investigator at Project Zero and Lecturer on Education at the Harvard Graduate School of Education. Her work explores young people’s digital, moral, and civic lives. 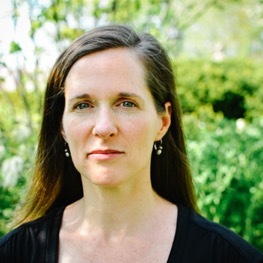 Over the past decade, Carrie has led and collaborated on research and educational initiatives focused on ethical issues in digital life, participatory politics in a connected age, and cross-cultural online learning experiences. With Howard Gardner, Carrie co-directed The Good Play Project, a MacArthur Foundation-funded study of ethics and digital life. Her publications include the book Disconnected: Youth, New Media, and the Ethics Gap (The MIT Press, 2014), as well as more than a dozen peer-reviewed publications. Carrie has an M.A. and a Ph.D. in Sociology from NYU. She is also a parent to two technology-loving children, ages 8 and 13. Dr. Rosen has four children including one in the iGeneration, one in the Net Generation and two in Generation X and three grandchildren to watch growing up with technology. He lives in San Diego, California. For fun he creates works of “art” from a combination of old computer technology, clocks and early rock and roll music. In his free time he enjoys reading international intrigue novels, fiddling with his newest geek toy, going to independent films, and trying to find ways to keep his “Humanware” safe from all the hardware and software vying for his attention. 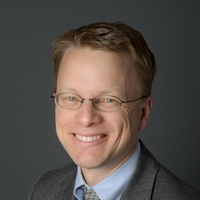 Christopher E. Starr, MD, FACS, is an associate professor, director of ophthalmic education, director of the cornea, cataract & refractive surgery fellowship and director of the refractive surgery service at Weill Cornell Medicine, New York-Presbyterian Hospital in New York City. He is a member of the American Society of Cataract & Refractive Surgery (ASCRS) Cornea Clinical Committee and is the inaugural moderator of the international ASCRS Corneal EyeConnect online forum. He is on the medical advisory board of the Eyebank for Sight Restoration and served a term as the Manhattan district representative of the New York State Ophthalmological Society. He is a member of over 15 ophthalmic societies and is a 2011 founding member of the American and European College of Ophthalmic Surgeons (AECOS). He was named an International Ambassador of the Tear Film & Ocular Surface Society (TFOS) and is a subcommittee member of the influential TFOS Dry Eye Workshop II (DEWS II). His corneal research has earned him the Walter Stark Research Prize at Johns Hopkins, and his dedication to resident education earned him the Teacher of the Year Award at New York University. Other recent awards include New York Magazine Best Doctors and Castle Connolly America’s Top Doctors, Best Doctors in America, America’s Top Ophthalmologists, Premier Surgeon’s PS250 & PS300 Awards, and Avvo.com & Arrive Magazine named him one of ten Top Ophthalmologists in the Northeast US. He is a graduate of Brown University (undergraduate), Cornell University Medical College (medical school), Harvard University/Massachusetts Eye & Ear Infirmary (residency), and Johns Hopkins University/Wilmer Eye Institute (fellowship). Dr. Starr is an editor of the journals Refractive Eyecare, Advanced Ocular Care, Cataract & Refractive Surgery Today, Current Ophthalmology Reports and Millennial Eye. His research interests include dry eye disease treatment and diagnostics, keratoprostheses, innovative cataract surgical techniques, refractive surface ablation techniques and advanced keratoconus screening. He has published 8 textbook chapters as well as over 100 scientific presentations, abstracts, posters, lectures, manuscripts and peer-reviewed publications. He is a regular medical contributor on national television and radio shows including CBS This Morning, Today Show, Fox News, and SiriusXM and is frequently interviewed for ophthalmic articles online and in print media (New York Times, Washington Post, New York Magazine, Prevention Magazine and many others). Dr. Melina Uncapher is an Assistant Professor in the Dept of Neurology at UC San Francisco, and Director of Education for Neuroscape, a new center that bridges neuroscience and technology (neuroscape.ucsf.edu/education/). Dr. Uncapher has spent 16 yrs at the forefront of learning neuroscience, and now applies research to solve real-world problems in education and technology. Education: Dr. Uncapher leads a multi-university National Science Foundation-funded network studying how executive function contributes to academic achievement, and is leading an initiative to launch Learning Engineering as a new way to build research-practice partnerships. She co-founded and is CEO of a nonprofit that arms educators and students with practical tools based on learning science: Institute for Applied Neuroscience (scienceforgood.org). Technology: Dr. Uncapher runs a NIH-funded research program that investigates whether technology use is associated with neurocognitive changes in children. She co-chaired a 2015 National Academy of Sciences conference on children and technology, and sits on the board of the Institute of Digital Media and Child Development. She also holds an affiliation with Stanford’s Psychology Department and is a MacArthur Scholar. Her work has been highlighted in media outlets such as the New York Times, PBS, Forbes, and Frontline. Her science outreach work includes serving as Script Supervisor on the Emmy-nominated PBS TV series The Brain, and as scientific advisor on an award-winning short film about the brain. Ellen Wartella researches the effects of media and technology on children and adolescents, and the impact of food marketing in the childhood obesity crisis. She is the Sheik Hamad bin Kalifa Al-thani Professor of Communication Studies at Northwestern University. She holds courtesy appointments in the Department of Psychology, Department of Human Development and Social Policy and Department of Medical Social Sciences. 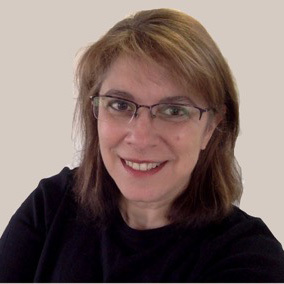 The author or editor of 12 books and approximately 200 book chapters, research articles, technical reports and research papers, Wartella is currently co-principal Investigator on a 5-year multi-site research project entitled: “Collaborative Research: Using Educational DVDs to Enhance Young Children’s STEM Education (2014-2019) from the National Science Foundation. She is editor of Social Policy Reports, a journal of the Society for Research in Child Development. She is a fellow of the American Academy of Arts and Sciences, the American Psychological Society and the International Communication Association. She is past President of the International Communication Association. She received the Steven H. Chaffee Career Productivity Award and the B. Aubrey Fisher Mentorship Award from the ICA, the Distinguished Scholar Award from the National Communication Association and the Krieghbaum Under 40 Award from the Association for Education in Journalism and Mass Communication. In 2017 she received an Honorary Doctor of Humane Letters from St. Vincent College. Dr. Weigle is a Child and Adolescent Psychiatrist and the Associate Medical Director of Outpatient Programs and Medical Staff President at Natchaug Hospital. He specializes in the effects of computer habits on the mental health of youth, and regularly teaches on the topic at national meetings and on Connecticut news programs. Dr. Weigle has authored numerous scientific articles on the subject, most recently he edited and contributed for April’s special issue of Child and Adolescent Psychiatric Clinics of North America entitled “Youth Internet Habits and Mental Health.” He is co-chair of the American Academy of Child and Adolescent Psychiatry’s Media Committee, having served on the committee for over 15 years. He serves on the National Scientific Advisory Board for Children and Screens’ Institute of Digital Media and Child Development, and teaches on the clinical staff of Quinnipiac Medical School and UConn’s school of medicine.